During the day Konstanz works, making jewelry, playing the violin, collecting dragons, and learning all she can about medieval weapons. But at night she creates made up worlds and places where those dragons come to life and the weapons are used in battle. Konstanz Silverbow: Proud Creator of magical worlds, fictional creatures, ideal super heroes and sarcasm since 2007! I wasn't born a writer. I was kind of dragged into starting but once I began there was no looking back. I'm hooked. I love dragons (understatement) and all things magical. That love is only matched by my obsession with all things Middle Earth. When I'm not at the day job, reading, or writing, I'm making jewelry or playing the violin. Wander around the house annoying my family. You’d think I’m joking but having just finished Beauty’s Thief, and under strict orders to take a break from writing, I really didn’t know what to do with myself. I cleaned my room, created a craft area in my library, and read other books. Can I get back to writing now? Let's talk dragons! It's no secret that you love them, we do too! How did this passion start? My love for dragons started with Smaug from The Hobbit. After that I was hooked. I read every dragon book I could. Dealing with Dragons, Dragon Slippers, the list goes on and on. When I began writing I knew I wanted to write dragons that were good (because so often they’re depicted as evil) but the more I wrote the more I realized dragons could be good and evil. Upon writing my first book, Missing Royal, I knew I wanted to find a dragon that looked like Fuentes. I eventually found an epic store at a mall that sold dragons and swords. And there I found Fuentes, my first dragon. 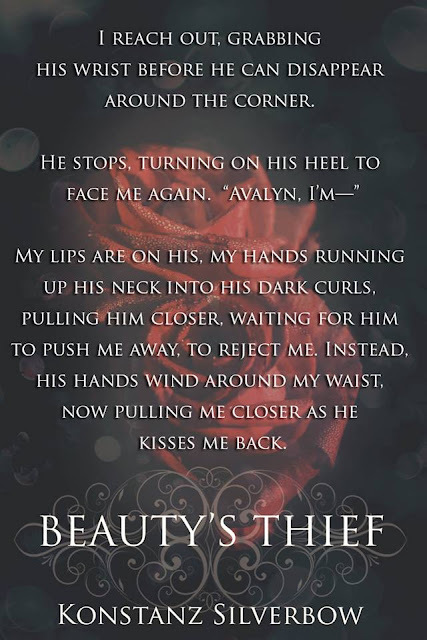 How did you come up with the title, Beauty's Thief? Originally it was Beauty and the Thief but I realized it just wasn’t working for me. It was too much. Plus there are about a gazillion books out there with “Beauty and the (blank)”. Because this story has been in my head so long, I don’t remember the exact AHA moment but eventually I realized it was perfect as Beauty’s Thief. Still clearly a re-telling of Beauty and the Beast but with a twist. Yes and no. I don’t necessarily base an entire character off an entire person I know. But I take bits and pieces here and there. 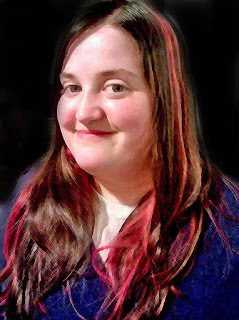 Funny story … my sister often says hilarious things without trying to be funny. I always tell her I’m putting something she said in my book. She didn’t believe me until she started reading my books. 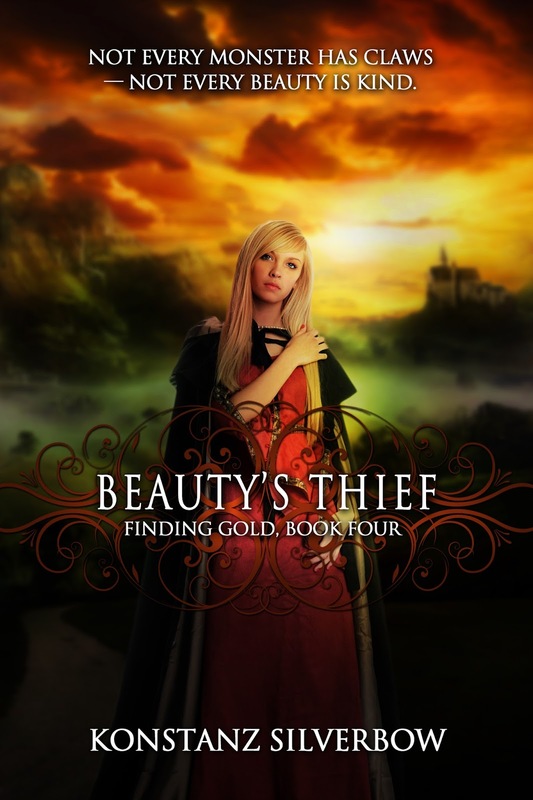 Beauty’s Thief is actually a great example of using people I know as characters. I have a super adorable fan who found out about my books because of her aunt. Said aunt got her niece a character certificate (sold in my Etsy store) and had her niece put in the book. And thus, Avalyn’s younger sister, Isabel, was born. I know I would totally give some weird strain of bird flu to a couple of people.... LOL Yes and no. In my example above, Isabel knows she’s a character in the book. If I want to use a direct quote from someone I know, I’ll ask permission. But there have been cases where I haven’t told the person a character is based on them. Which comes first: The character's story, or the idea for the novel? Yes. All of the above? Each story is different. How I got inspiration for each story is also different. And that means that which idea comes first is different.